Tharses Project - EN: It's a Grot's life! I don't really like the fat runthed model that came with the kit so I kitbashed one from the boyz box. 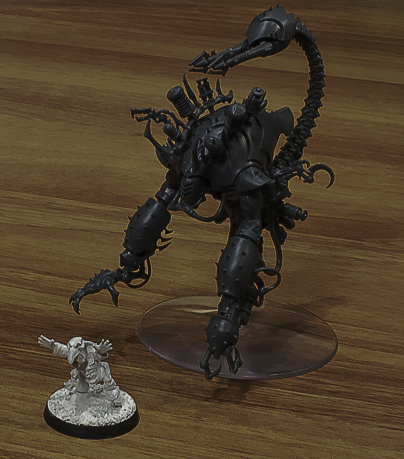 You may notice that he is missing a herd squig for WYSIWYG, but worry not, I'll surely make one for him in the near future. 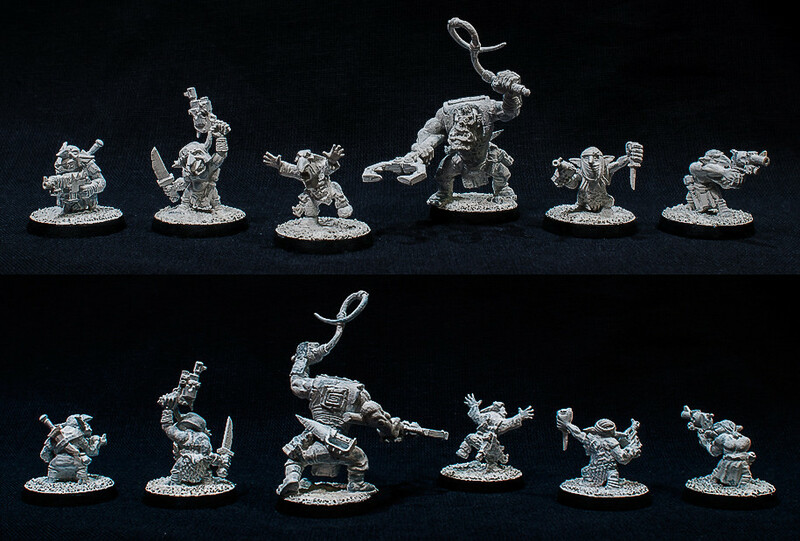 I tried to make a few simple conversions here and there to make the mob more unique. 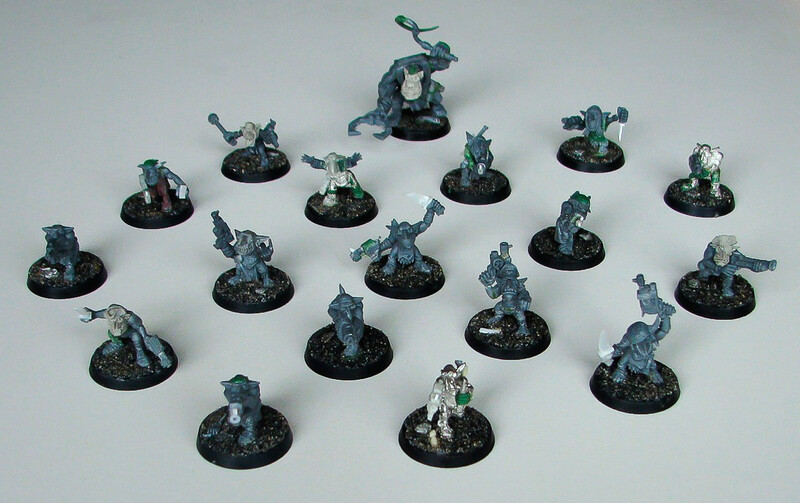 Most of the runts are from standard GW set, but there are a few from other kits, including even two metal ones from Weirdboy blister. Some of them feature MaxMini goblin pirates heads BTW. And since I think it's easier for a Grot to loot a humie weapon then to make one or get a Mek to do it, a lot of the guys feature some looted autopistols. To other news - the process of spreading my addiction to 40k to my girlfriend goes on with success :) She decided to give in to Dark Eldar vibe, so I've helped her to assemble her newly acquired Talos pain engine. It was her fist time so I was gentle.